One of the key areas of health I believe is important is access to healthy drinking water. While I have water filters in other areas of our house, one area that I wanted to “clean up” was the water coming out of our shower. 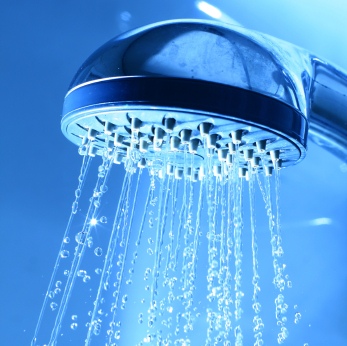 I started to read numerous articles that shower water (and water in general) not only has dangerous containments such as chlorine, herbicides, pesticides, asbestos and synthetic chemicals (YUCK! 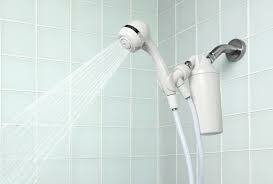 ), but also the shower water vapors. I read that these containments can cause all sorts of reactions include eczema and more serious illnesses. It made me question how clean my family and I are really getting in the shower? So when I received press information about Aquasana home filtration systems, I wanted to learn more. Does the Aquasana shower filter really provide the healthiest shower possible? I may do a review in the future to find out more, but for now I am comforted to know that there are options to help my family get really “clean” in the shower with water filtered from harsh chemicals. What have you learned about what chemicals (or what I call “yucky stuff”) is in your local water supply?